This lesson addresses a 4th Grade Common Core Standard for comparing fractions (4.NF.A.2). 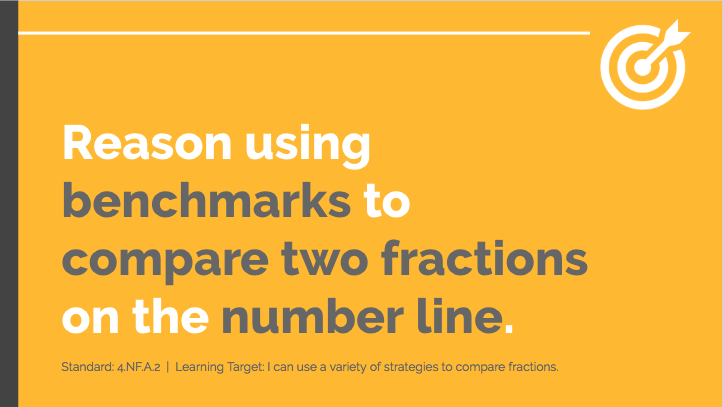 Specifically, this lesson focuses on comparing fractions using benchmark fractions. This is an interactive deck that provides students with opportunities to demonstrate their understanding in a variety of ways. Students should have a solid understanding of equivalent fractions to be successful with this lesson.